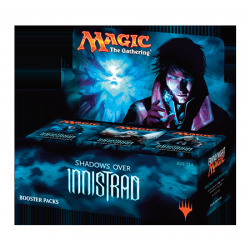 Shadows over Innistrad There are 7 products. 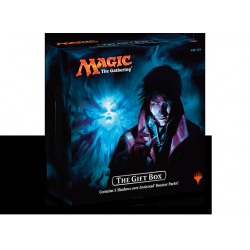 The Shadows over Innistrad Gift Box contains five Shadows over Innistrad booster packs, a storage box, six illustrated plastic dividers, stickers for customizing the dividers, 20 basic lands, and—the part you're interested in—an alternate-art card. 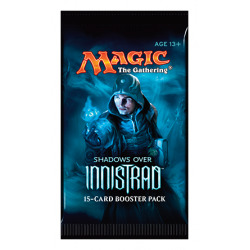 All the 105 commons from Shadows over Innistrad. 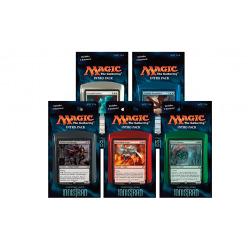 All the 100 uncommon cards from Shadows over Innistrad. 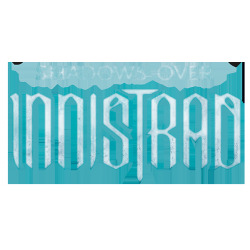 All the 297 cards from Shadows over Innistrad.